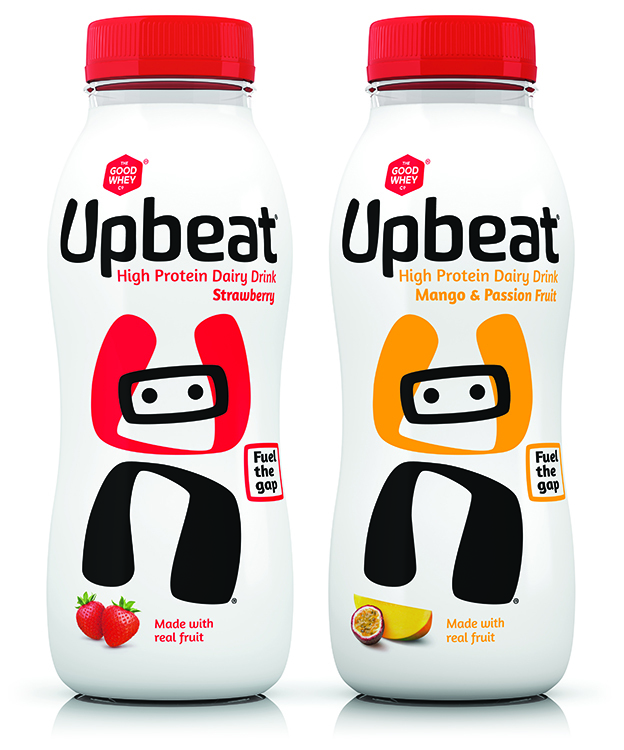 When UK based Volac’s The Good Whey Company was looking for a unique shape to give their new protein rich drink ‘Upbeat’ a creative identity with an outstanding presence on the store shelf, it approached Esterform. Esterform Packaging has a wealth of experience in the design and manufacture of custom-moulded bottle solutions and used these skills to turn the bottle design concepts into a an exciting contemporary product that won ‘Best New Brand’ at the recent Beverage Innovation [email protected] organised by FoodBev Media. Discussions began in April 2012 and following the suggestion of the waisted design in the original brief, the initial concept design for a customised 250ml bottle was presented in May. The resulting shapely, curvy design appeals to Volac’s key target market of health conscious consumers. The first production run took place in November with bottles delivered in time for the initial trials and for the full product launch at the beginning of March 2013. A UV barrier is essential to protect the whey-based Upbeat product. It was suggested that a clear or opaque white master-batch be added to the monolayer PET to add a UV barrier to the bottle. Ultimately Volac decided to go for a sleeve incorporating a UV lacquer. This provides a good UV barrier while enhancing the aesthetic appeal of the pack design. The product is not aseptically filled, so requires refrigeration in shipping, display and storage. Esterform 38mm UCS preforms range in weight from 16.5gm to 50gm. 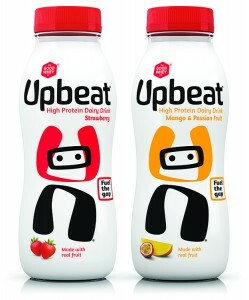 Designed so that consumers can drink straight from the bottle, Upbeat uses a 38 UCS with a 38mm UCS tamper evident cap.